Early in her career as a photographer, Barbara Morgan arrived in New York in the mid-1930s, just as dancer Martha Graham was beginning to establish her importance in modern dance. When the curtain went down on the first Graham performance Morgan had ever seen, the photographer went to introduce herself to the dancer and that same day the two decided to embark upon a collaborative effort. Morgan began photographing Graham and her company in 1935 in the controlled setting of her studio, each picture designed to capture "the most profound and most crucial moment" of the dance. A collection of the photographs was published in 1941 in the book Martha Graham: Sixteen Dances in Photos. Martha Graham: Letter to the World, alternatively titled The Kick, was made in 1940 with a 4×5 Speed Graphic camera and required Graham to repeat a single kicking sequence until Morgan decided she had captured the image she wanted. The movement depicted is part of Graham's dramatic ballet "Letter to the World," based on the love life of American poet Emily Dickinson. In 1982, American Photographer featured the photograph in its "By Request" section, detailing the technical and artistic decisions behind it: "To capture the emotion of the movement, Morgan says she had to 'free the figure within the space' by giving the picture a flowing, unanchored background that would serve to sharpen the image of the dancer. 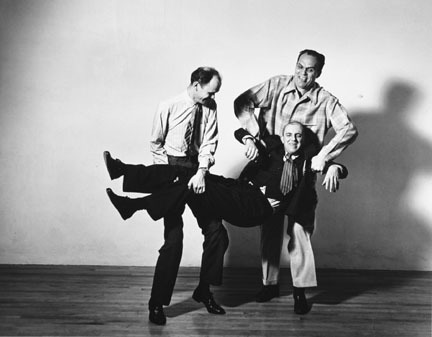 To achieve this effect, she remembers stationing four assistants around the set, outfitting each with a single lamp to be trained on the dancer. With the lights wired to a single circuit, she then activated them simultaneously, popping each for approximately 1/600th of a second, effectively equaling the time of her shutter speed as well as the rapidity of Graham's movement. The technique produced the desired likeness of a blurry studio floor and backdrop, lending further prominence to the figure of the dancer. 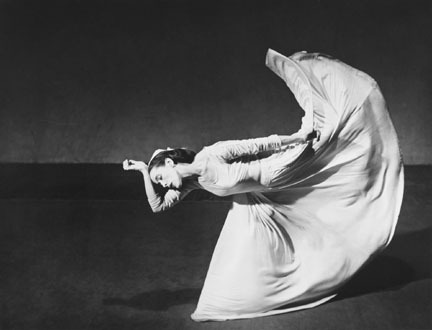 Since it was taken in 1940 the picture has become the most widely published image of Martha Graham." Bernice Abbott with Cat was taken just two years later in 1942. Bernice Abbott (1898-1991) was an American photographer who did portraits and scientific work in addition to her famous pictures of urban New York. In fact, Abbott would have recently finished her 1935-1939 series "Changing New York" when this picture was taken. As with Martha Graham: Letter to the World the subject is an important woman in the arts of the time, but Bernice Abbott with Cat is far more concerned with issues of portraiture. Beyond sharing an avocation, Abbott and Morgan were contemporaries nearly the same age who moved to New York within a year of each other and both mastered an array of photographic specialties. It may not be too far-fetched, then to imagine Morgan's portrait of Abbott colored by Morgan's feelings about her own life. Barbara Brooks Morgan was born on July 8, 1900 in Buffalo, Kansas. From 1919 to 1923 she trained as a painter at UCLA, going on to teach in its art department from 1925 to 1930. Though familiar with photography, Morgan never realized that photographs could move beyond realistic records to "essential symbols" until she met the then-unknown Edward Weston and was inspired by his work. Soon thereafter, in 1930, Morgan moved from California to New York where she experimented with photomontage and other photographic forms. 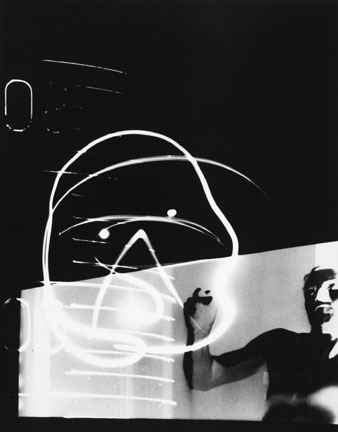 Earning a reputation as both an Expressionist and a Modernist, most of Morgan's work involves city themes, dance, children, photomontage, or light drawings. 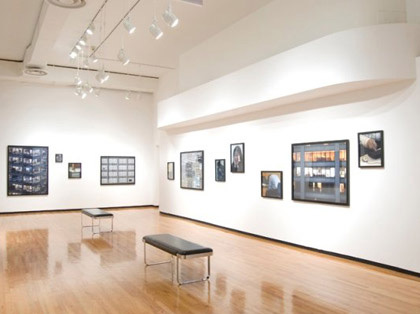 Her work can be found in the collections of Smithsonian Institution, George Eastman House International Museum of Photography and Film, Library of Congress, Metropolitan Museum of Art, and Museum of Modern Art, among others.